Michael Berman (whom I am fortunate to work with at CSU Channel Islands) has been blogging about "LMS Futures," a topic he presented on at BbWorld in Las Vegas this month. For those of you unfamiliar with the term LMS, it stands for Learning Management System and refers to the application used by nearly all colleges and universities to administer and teach online/blended classes, as well as organize digital content for face-to-face classes (examples of the most popular LMSs include Blackboard, Desire2Learn and Moodle). The post Michael shared yesterday got me thinking more deeply about the "closed" nature of the LMS. 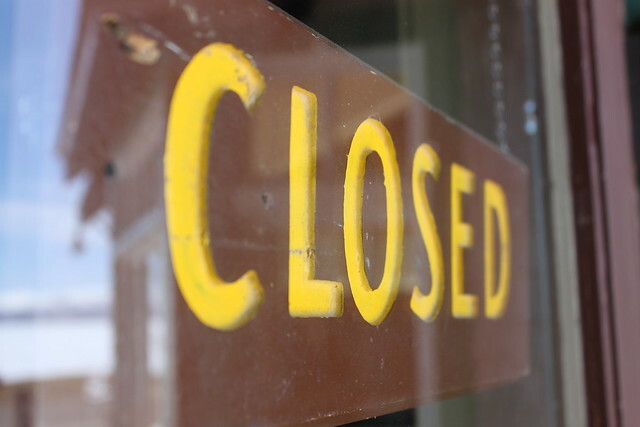 When I say "closed," I am referring to the way the activity and content within an LMS is disconnected from the open web. I understand the development and adoption of the closed LMS is intertwined with compliance of FERPA policy. Yes, that's part of the conversation but, as we know, priorities guide change. And currently, there are important social shifts that are ignored when efficiency and compliance of policy become our guiding lights. I am writing this blog post in an effort to try to encourage awakening in those who use LMSs and may not be part of the usual conversation. And to understand that the act of implementing a closed LMS within an organization and constructing policies around it, as well as teaching within a closed LMS constructs a "mental model" about using social media that positions social technologies as threatening and bad. That, I believe, is the wrong direction for us to be headed as college educators situated on the brink of a new social era. A mental model refers to ideas, descriptions, and beliefs that guide one's actions. Mental models may exist within a broad culture, a company, or a broader organizational context (like higher education). Individuals are extremely committed to mental models, as they are guide us through our actions at an unconscious level. When mental models are challenged, one's first reaction is to act defensively. This is one reason why we must be critical of how the technologies used at a systemic level can foster status quo attitudes, which can become intensely difficult to change over time. Through my social media interactions, conference attendances, and presentations over the years, I have noticed a generalized difference in attitude between K12 and higher education educators on social media about teaching with social media (again, this is anecdotal). I blogged about this observation in 2011 after attending the annual CUE Conference, a large (and awesome) ed tech conference attended largely by a K12 audience. Essentially, over the years, in K12, there seems to have been rising consensus of teachers who demand access to social technologies for learning. While, in higher education, where more than 30% of students took at least one online class in 2013, the story is somewhat different. While there are many innovators in higher ed (whom I am grateful for and I learn from every day in my PLN), and there are colleges/universities that have made the jump to create social media guidelines that foster understanding and stress the value of openness, what I feel concerned about is how the mainstream integration of the closed-LMS system across higher education is constructing and enforcing a mental model in college and university faculty ("Here is your shell, go teach with it.") that undercuts values graduates need to succeed in the workplace today. According to a 2014 report from ECAR about LMSs in Higher Ed, 99% of higher education institutions report use of the LMS is ubiquitous. These values -- community, sharing, relationship building -- are the very values employers expect college graduates to have mastered and demonstrate within the workplace, which is becoming more and more social each year. "The social network is the new production line." The world has been deeply transformed by globalization and technology. As college graduates enter the workplace today, they are expected to demonstrate how they are unique from others and in what ways their contributions set themselves apart from others. One's digital footprint is an opportunity to do be one step ahead in life at graduation. 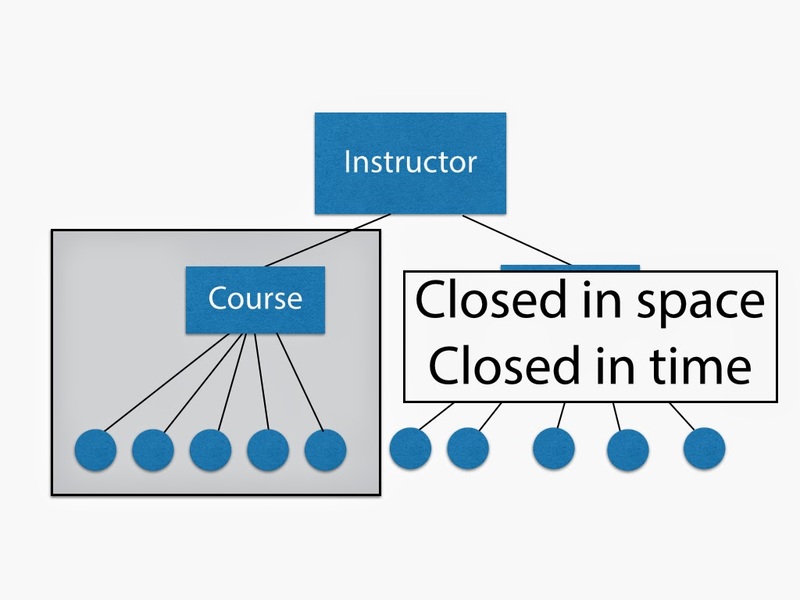 And the continuous reliance on the closed-LMS environment continously constructs a mental model for faculty, instructional designers, administrators, all members of higher education that using social media is, in essence, the wrong thing to do. Moving forward, the mainstream use of closed LMS environments is creating yet another digital divide. As I discussed in an earlier post, Gartner predicts that by 2016 many large companies will begin to replace the use of phones and email with social networks. Ginni Rometty, the CEO of IBM, noted in 2013 that "the social network is the new production line." Value in the social era is cultivated around openness, collaboration, shared visions, and transparency. Individuals who demonstrate their ability to foster relationships through social technologies (which is very different from simply having accounts on or using social media) will be one step ahead of the rest.